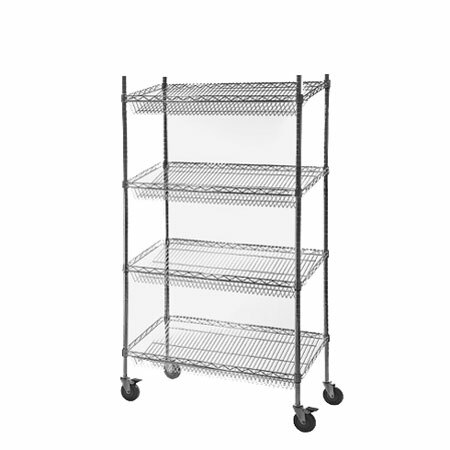 If you need a shelving systems that's simple to install taking just five minutes per bay, which looks really good with a bright quality chrome plated finish, is capable of carrying up to 400kgs per shelf level and shelves can be adjusted in seconds then our wire shelving is the answer you need. 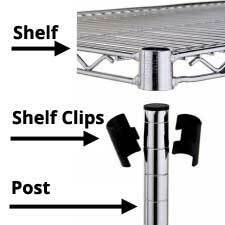 Consisting of just three basic components, post, shelf clip and shelf. 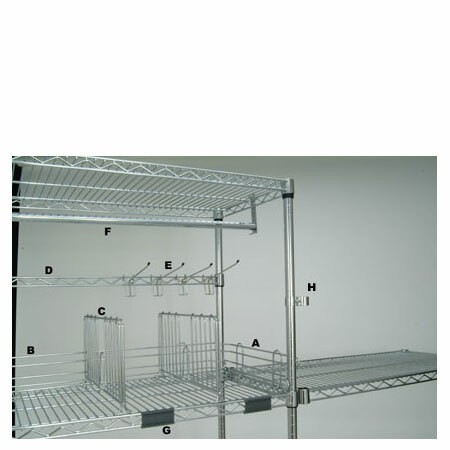 Assembly could not be easier simply clip the plastic shelf clips on to the post then slide the shelf over the post onto the shelf clips. 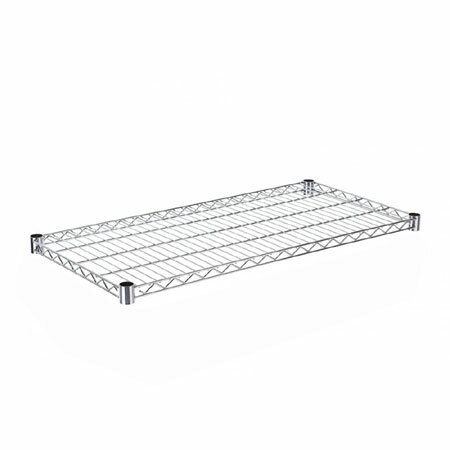 Our standard wire shelving shelves are stocked in 12 different sizes, three depth and four widths as well as the standard wire shelves we have a 450mm square shelf and a triangular shelf again 450mm deep and wide. 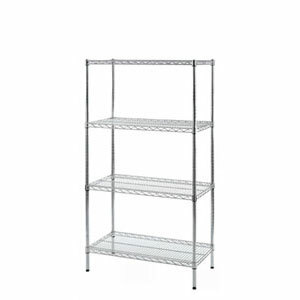 If your storage requires sloping shelves or even shelves that carry bottles then our range of wire shelving has that as well. 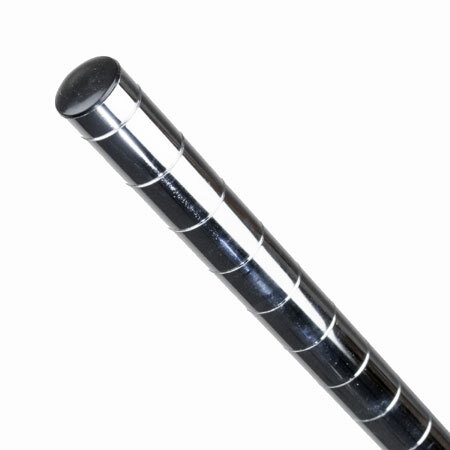 The posts are available in a range of heights from only 610mm high up to 2100mm high. 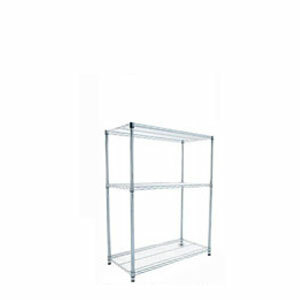 To finish off our wire shelving system we offer a range of accessories including ledges that fit on to the shelf front to back as side ledges and left to right so if you need to stop your items rolling of the shelf you can fit ledges all the way around each wire shelf and still allow maximum air flow if your items need it and dividers to sub divide the shelf as well. 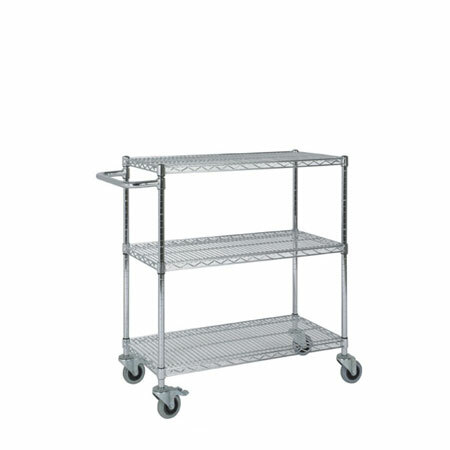 Add castors to the bottom of your posts instead of the adjustable feet, which are included with the posts and your wire shelving becomes a trolley. 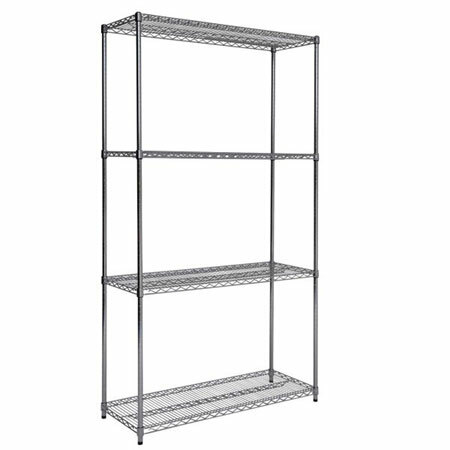 This wire shelving offer a simple to assemble shelving system with just 2 basic components the 25mm diameter wire shelving post available in a range of heights plus the wire shelving shelf which offer the choice of 3 depths and 4 widths in our standard range.